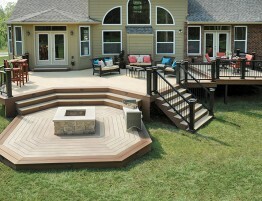 When building a deck, choosing the right materials can make or break your completed deck. While wood looks great, it requires a significant amount of maintenance to keep it looking good and structurally sound. Wood alternative decking materials, such as composite decking or PVC decking, is low maintenance and extremely durable, but is typically lacking in aesthetics. That is, until now. 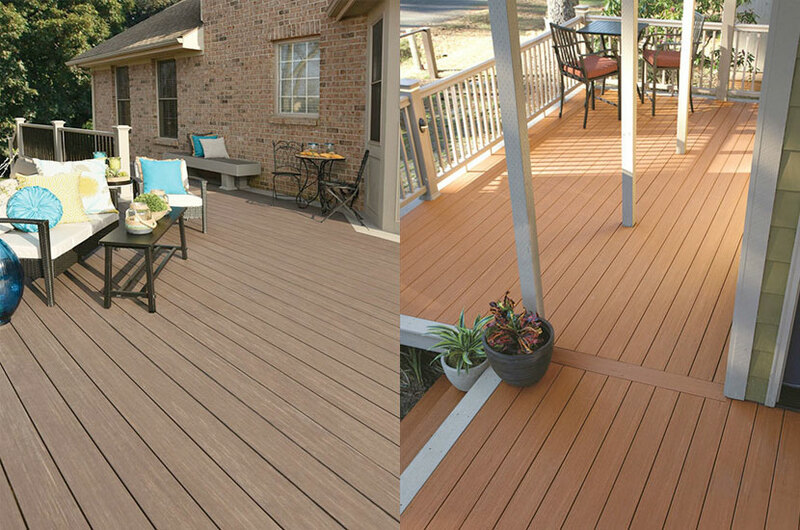 AZEK’s newest innovation, the Vintage Collection of decking materials, is changing all that. 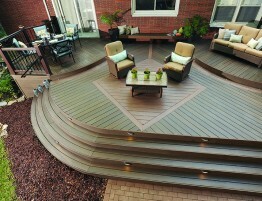 The Vintage Collection, available from Kansas City Deck Supply, is the next generation of capped cellular PVC decking. The Vintage Collection features a rustic texture that resembles reclaimed wood or indoor flooring. This exclusive embossing pattern creates a wood grain appearance that is much more realistic than alternative decking products offered by other brands. In addition to the natural wood grain pattern, the color varies slightly from board to board to create a realistic simulation of hardwoods. It is available in three rich colors: Mahogany, Cypress, and Dark Hickory. All three colors blend beautifully with any home exterior or landscape. Even with all this beauty, you don’t have to sacrifice performance. 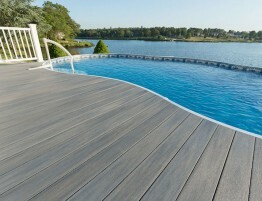 The Vintage Collection offers the same outstanding durability that is expected of PVC decking. It offers exceptional stain resistance. Even hamburger grease and wine are no threat. It is also scratch resistant, so there’s no need to worry about pets or patio furniture leaving their mark. The Vintage Collection is fade resistant, as well as resistant to mold and mildew. It will not crack, splinter, or warp. Unlike wood, The Vintage Collection requires very little maintenance. You’ll never need to sand it or stain it. Just give it an occasional cleaning. The Vintage Collection is available in grooved profiles in 12’, 16’, and 20’ lengths and square shouldered profiles in 16’ and 20’ lengths. Coordinating decking trim and accessories are available to create the perfect finishing touch, including an in-deck storage kit and bench and planter kits.